John Dingell Jr. retired from Congress in 2015, making him the longest-serving Congressperson in history. John Dingell, the longest-serving member of Congress in American history, died Thursday of cancer at age 92. He is remembered for far more than his longevity. John Dingell Jr. was six years old when his father, John Dingell Sr., won a district seat representing Michigan in the U.S. House. He told friends, "They were the biggest doors I've ever seen," upon entering the House chamber. Dingell became a Congressional page at age 12. He received his bachelor's degree and law degree from D.C.'s Georgetown University. His career took him back to Michigan. He was assistant prosecuting attorney for Wayne County when his father died in office in 1955. Dingell ran and won an election to fill the remainder of his father's term, and then ran again, and again. He never lost an election. One of Dingell's first acts was to re-introduce his father's National Health Insurance Bill. He introduced it every new session of Congress after that until the Affordable Care Act was signed into law in 2010. He also became a champion for the environment. 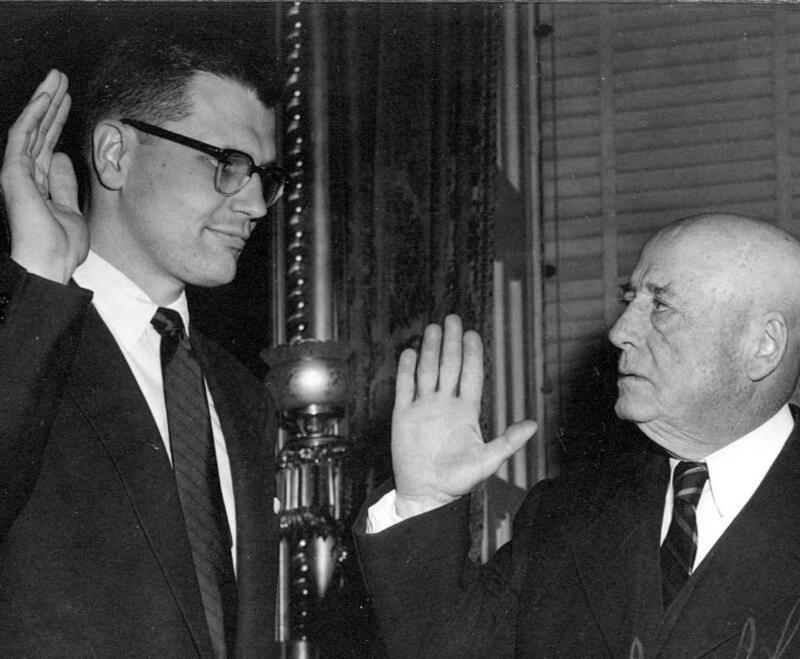 John Dingell is sworn into Congress by House Speaker Sam Rayburn on December 13, 1955. "His hand was on the steering wheel of virtually every significant environmental law in the country for six decades," says Lana Pollack, former state senator and now U.S. chairwoman of the International Joint Commission. Those laws include the Clean Air Act, the Clean Water Act, and the Endangered Species Act. On the other hand, Dingell also was a strong advocate for the Detroit auto industry. That accounts for less-than-stellar opinions of his legacy among environmental groups. He also was a board member of the National Rifle Association for many years, and he played a key role in Congress' failure to pass a number of gun control bills over the course of his career. Dingell had a number of nicknames. "Big John" was one, representing perhaps both his physical and political stature. He could be intimidating. If you said something he thought was stupid, he would let you know. He had a reputation for running people over, figuratively speaking, especially when grilling people he'd called to testify before committee. Hence his other nickname, "The Truck." But Pollack says he didn't play hardball when it came to legislating. 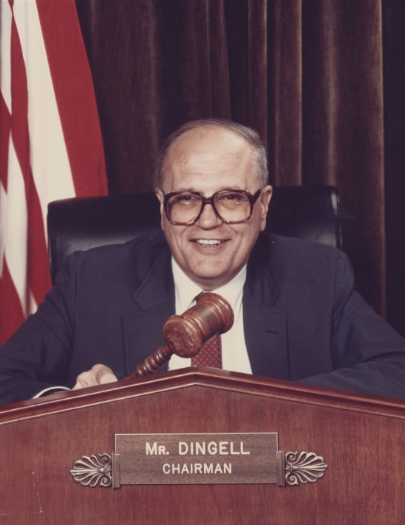 Dingell in 1984, when he first served as chairman of the House Energy and Commerce Committee. "He was a dealmaker," she says, "which meant that he knew how to make compromises, he knew that he had to make compromises." Dingell also had close friends across the aisle, like Republicans Fred Upton and John Schwartz. Schwartz most remembers Dingell's kindness and willingness to mentor newcomers to the House. "John would always give you his honest opinion," Schwarz says, laughing. "I think sometimes people who met John thought he was a bit gruff. But I never thought he was gruff. John was just being John." In 2008, Dingell was ousted as chairman of the Energy and Commerce Committee, largely because of his loyalty to the auto industry, which was fighting efforts to tighten fuel economy regulations. "You could say he was loyal to a fault," says Pollack. "He stuck with his industry. It was very John Dingell. He stuck with his industry. He tried, I think, behind closed doors to convince them to change, but failing to do that, he wouldn't abandon them. And he paid a big price." Dingell was 82 when he lost his chairmanship. Some people speculated he might retire. They were wrong. He kept on going, increasingly frail physically, but only physically. He ran for election three more times. He also became a Twitter phenomenon, winning more than 250,000 followers for his acerbic tweets about everything from the Kardashians to politicians to the Detroit Lions, as well as jokes about his own advanced age. He sat in a place of honor by President Barack Obama's side during the signing of the Affordable Care Act in 2010. It wasn't a National Health Insurance bill, but a hoped-for first step. Dingell became increasingly critical of Congress during his later years of service, because of its turn towards extreme partisanship. 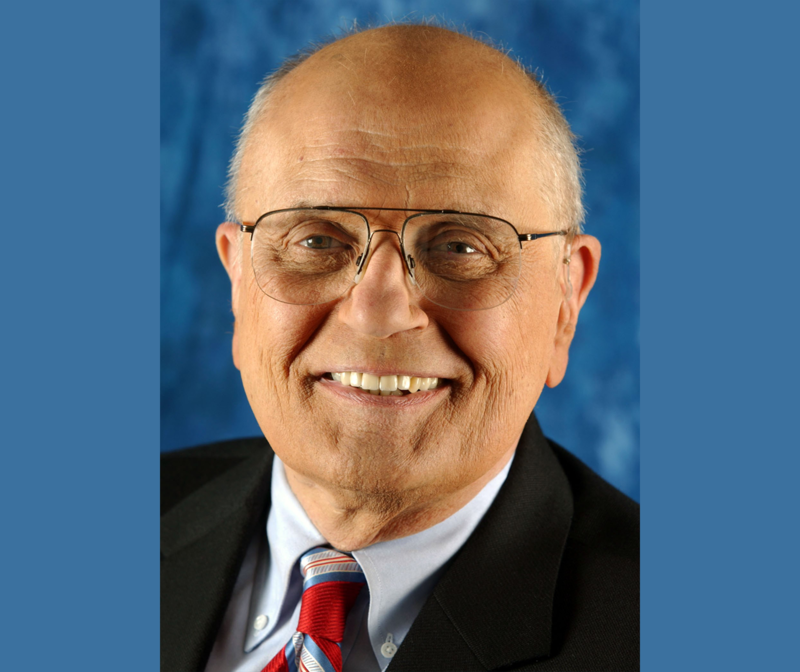 "We have somewhat forgot the intention of the founding fathers that we were to work together, to compromise," Dingell said in an interview with Michigan Radio's Stateside late in his his career. "We're all in this thing together, and if we don't recognize it, we're going to ruin the greatest country – the most wonderful democracy." 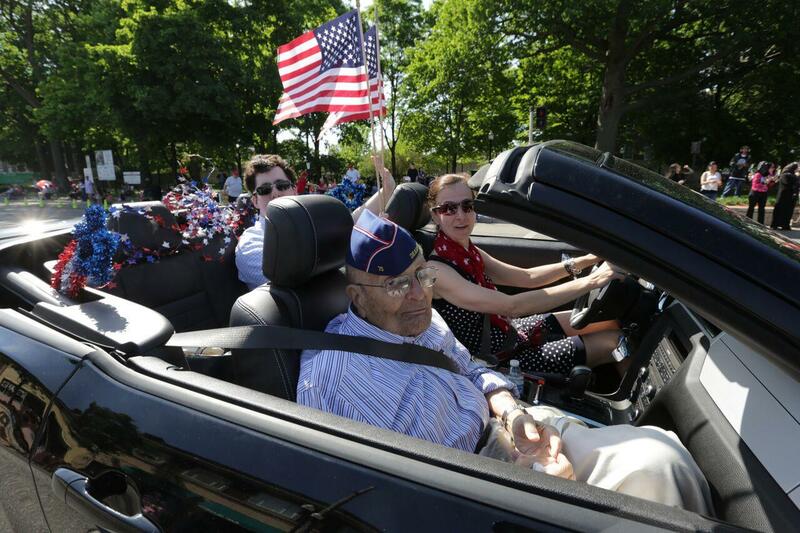 Dingell riding in the 2016 Dearborn Memorial Day parade. He was not a man to brag. In that same interview, he speculated about the impact of his career in public service. "You know, there's a tombstone out in Kansas, and it just says this: 'He done his damnedest.' And I hope my people will say I served them well, and frankly I did my damnedest, and I did a good job and I took care of the people I'm elected to serve." Dingell retired on January 3, 2015, at age 87, relinquishing his seat to his wife, Debbie Dingell, who won a campaign to replace him. His last tweet, in which he admitted being too weak to tweet on his own, but thanked people for their kind words and prayers, was made on Feb. 6, just one day before he died. Dingell is survived by his wife, Debbie Dingell, and his four children. When Dingell's passing was announced Thrusday evening, remembrances of his life and service came in from all corners of the country. Governor Gretchen Whitmer ordered flags to half staff Friday to honor Dingell, and issued a statement thanking Dingell on behalf of the people of Michigan. Former President Barack Obama acknowledged Dingell's leadership in legislation such as the Civil Rights Act and the Affordable Care Act. When he retired, John Dingell was the longest-serving congressman in U.S. history. He was sworn in on Dec. 13, 1955 which began a long career that lasted through 11 presidencies until the Democrat retired at the end of 2014. In retirement, he's not showing any signs of slowing down as he took some time from "celebrating the hell" out of his 90th birthday to join Lester Graham on Stateside. Would you like to see John Dingell read mean tweets about himself? "Mean Tweets" is a popular segment on the Jimmy Kimmel late-night TV show. Kimmel has convinced famous movie stars and even the president of the United States to read mean tweets about themselves in front of a camera. Now, John Dingell has a bet with his wife, U.S. Rep. Debbie Dingell, that she can't get 5,000 Twitter followers by Sunday. But if she does, he'll read mean tweets about himself, Jimmy Kimmel-style, and post the video online. Former U.S. Rep. John Dingell is in a Detroit-area hospital after a heart attack. U.S. Rep. Debbie Dingell says her 92-year-old husband had a heart attack early Monday and is "alert and in good spirits, cracking jokes as usual." She added, "We'll know more later." John Dingell, a Democrat, was in office for nearly 60 years and still remains the longest-serving member of the House or Senate in U.S. history. He didn't run for re-election in 2014, the same year that his wife was elected to his 12th District seat in southeastern Michigan. The office of Congresswoman Debbie Dingell today confirmed the death this morning of Jeanne P. Dingell, the eldest daughter of former Congressman John D. Dingell and Helen Henebry Dingell. Jeanne passed away after a battle with lymphoma. The family released the following statement.